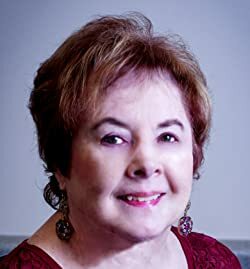 Charlene Raddon began her fiction career by telling her third grade class she had a little sister who was killed by a black widow. She had no little sister. Today she is an award-winning author of five historical romance novels set in the American West, her favorite era. She is also a graphics designer of book covers and other promotional items for authors. Please enter your email address and click the Follow button to follow Charlene Raddon! After losing her father and husband in a mine disaster, Priscilla Heartsel faces poverty and eviction from her home by a heartless mine owner. Tricked into a bank robbery gone wrong, Braxton Gamble finds himself shot and unconscious in Priscilla's bed. Can they survive long enough to find a love more precious than gold? A sweet read. Thalia Plunkett has loved Duncan Moon, known as Dinky, all her life. Now he's in big trouble. Can Thalia help Duncan kick the booze threatening to kill him, and win his love? Or will he choose whiskey over her? And who is the mysterious man watching Thalia?